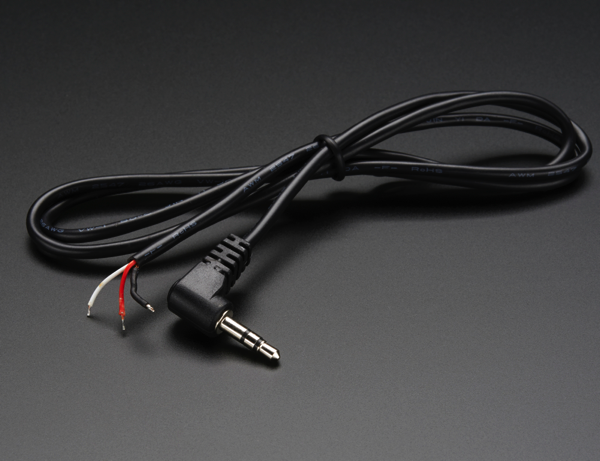 NEW PRODUCT – Right-Angle 3.5mm Stereo Plug to Pigtail Cable « Adafruit Industries – Makers, hackers, artists, designers and engineers! 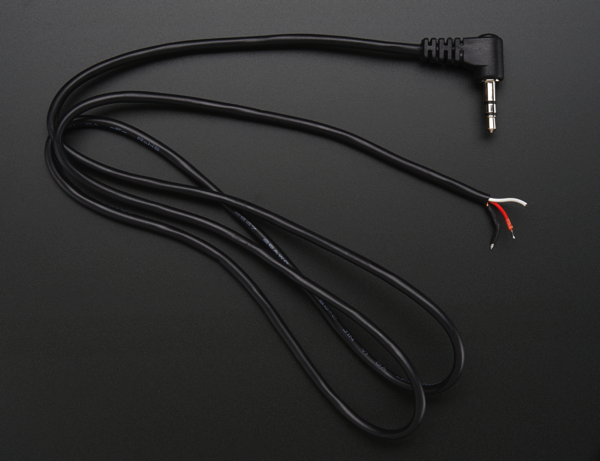 NEW PRODUCT – Right-Angle 3.5mm Stereo Plug to Pigtail Cable. One of the most common converter cables you’ll want in your cable collection – this 32″ long cable converts a standard 3.5mm stereo jack to pigtail wires. Ground ring is black, middle ring is white and tip is red. Cable is 32″/81cm long from end to end.